The exchange of money between two countries is an activity that started thousands of years ago. But with the development in foreign exchange industry and the birth of the Internet, currency exchange was made easier and faster. The modern industry boasts national currencies that are feely floating in the market, without a single entity controlling or regulating trading activities. This is the reason why the forex market became the largely traded market in the world. Investors can easily jump in the market and speculate or exchange currencies as investments. For novice traders, this market can be a tricky world. To avoid confusion before getting started, here is a quick guide to forex trading for beginners. As mentioned beforehand, the forex activities were since an institutional necessity for most countries in the world. But back then, the participants in trading currencies were just banks and some institutional investors. After the Bretton Woods agreement in 1971, it has been introduced to all types of investors and the advent of internet opened its door to anyone who wants to trade. It was a remarkable development and has changed the landscape of foreign exchange industry. 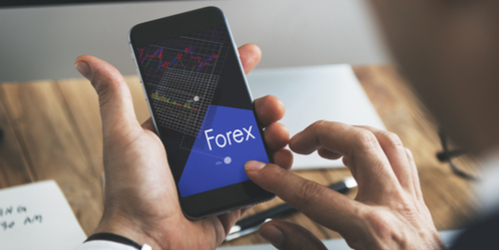 Today, there are thousands of online brokers that offer their platforms as a leeway to enter and experience the forex industry. These online brokers made forex trading for beginners easier to understand. Through them, the basic and fundamentals of the industry are taught and they help investors on how to benefit from it using various market strategies. Forex trading for beginners can be a simple task. You just need the help of a broker and an Internet connection to execute the trade. Since forex is the most liquid market, chances are high that currency prices fall instantly. Because forex pairs move very fast, depending on the force of supply and demand, novice traders can enter a trade and close it in a few minutes and gain profit from the price difference using substantial leverage. Since you are buying one currency and selling another simultaneously, the difference between their prices is the amount you earn should you win the trade. Another way to benefit from forex trading is by using it as a hedge in your investments in the stock market. This is also known as carry trade and is used mainly to produce yield from the difference of swapped currencies.